As far as tourism goes, the Caribbean is one of the safest destinations on the planet. Does that mean you have absolutely nothing to worry about when you visit Puerto Rico? Not exactly; after all, no place on Earth can guarantee your safety. But here are a few frequently asked questions that will keep you a bit more informed about staying safe and enjoying a worry-free vacation on the island. Crime in Puerto Rico is largely driven by the drug trade that is pervasive all over the Caribbean. Islands like Puerto Rico are pit-stops between South America and the U.S. Puerto Rico’s borders are open to many small, private charter planes, as well ships carrying illegal cargo north. Naturally, drugs find their way onto the island as well, and even though both the FBI and the DEA have offices in Puerto Rico, drugs remain a large problem. Leave your valuables at home: Sounds simple enough, but for some people love to bring their bling with them. However, you won't need your best jewelry at the beach. Better to leave it at home and not have to worry about it. Use the hotel safe: Most self-respecting hotels have in-room safes, and these are excellent places to keep your passport and extra cash. Credit cards are widely accepted on the island, so don't travel around with too much money in your wallet unless you really need it. Learn some basic Spanish: There is a Tourist Police in Old San Juan that is bilingual, but once you travel out of the heavy tourist zones, it's highly likely that most police officers and other emergency personnel won't speak much English. Being able to communicate is always a plus. Never leave valuables in the car: This applies especially to Vieques and Culebra, where thieves will not think twice about smashing the window of your rental car to get at your wallet while you're enjoying the beach. But the rule applies all over the island; take your valuables with you, or better yet, leave them at the hotel. How Safe Is It to Go out at Night? Most of the clubs, bars, and lounges in San Juan lie along the tourist route and are quite safe. You can walk along Fortaleza Street in Old San Juan at 3 am and be just fine. However, in Old San Juan, you'll want to avoid the La Perla neighborhood (adjacent to El Morro) and much of Puerta de Tierra (beyond the hotels) at night. Another place to stay away from is the beach, which is unprotected, dark, and definitely not worth the moonlit stroll. Culebra and Vieques are considered safe, especially Culebra, which is small enough that crime is a real rarity. As for the rest of Puerto Rico, let your common sense be your guide. This is a safe place to be, but there is no need to court danger. Is It Safe for Single Travelers? Female Travelers? Gay Travelers? 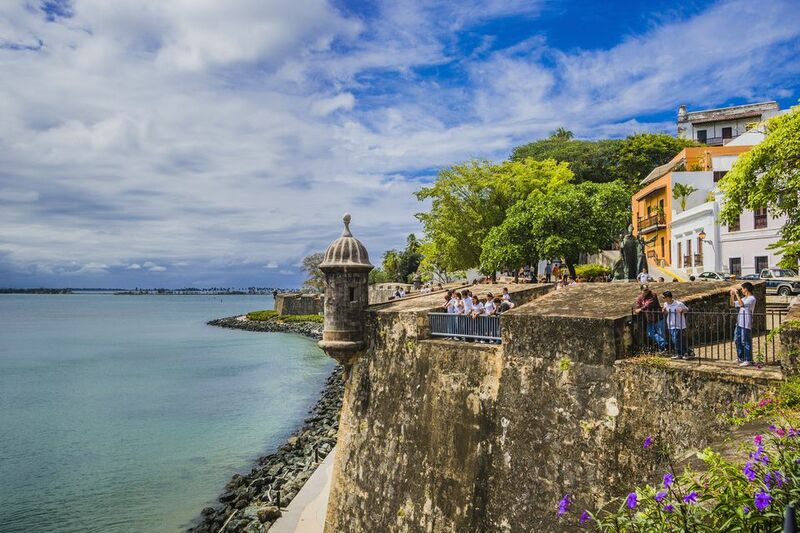 Puerto Rico is a popular destination for gay travelers, and the Ocean Park neighborhood, in particular, has bed and breakfasts which cater to gay travelers. Single women obviously need to take into account basic precautions, but Puerto Rico is no less safe than other Caribbean islands for female tourists. What Kind of Health Risks Should I Be Worried About? Fortunately, this is not a major concern for travelers to Puerto Rico. You don't need to get any vaccinations or other kinds of shots to come to the island. The food is mild (no spices) and clean, so stomach illness isn't something to worry about. More good news! Taxis, buses, ferries, the Tren Urbano, or "Urban Train," and públicos are all safe, clean and reliable in Puerto Rico.